Not sure what to do with the kids this Halloween? Boneo Maze is where all the frightful fun is at this year. The eco-tourism complex on the Mornington Peninsula will host a fun Halloween Costume Party, with themed activities for the kids throughout the day. Spooky fun begins at 10am right through till 5pm, with face painting, balloon twisting, a witch hunt, trick or treating, games and more. Entry also includes access to the mazes, wetlands, outdoor puzzle games and mini golf. 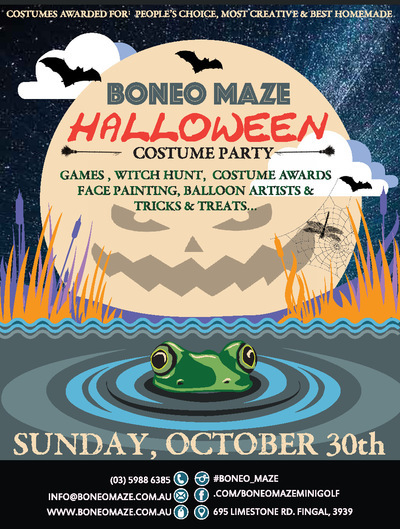 What are you waiting for, head to Boneo Maze to celebrate Halloween this year!